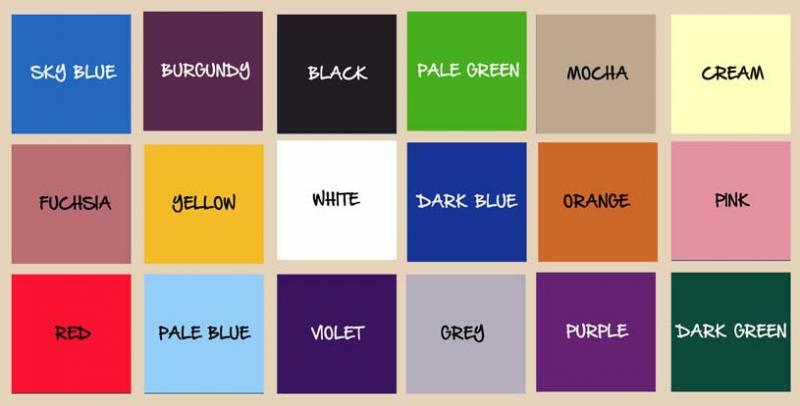 These are examples of the more popular colour schemes but you can choose any colours from the chart below. 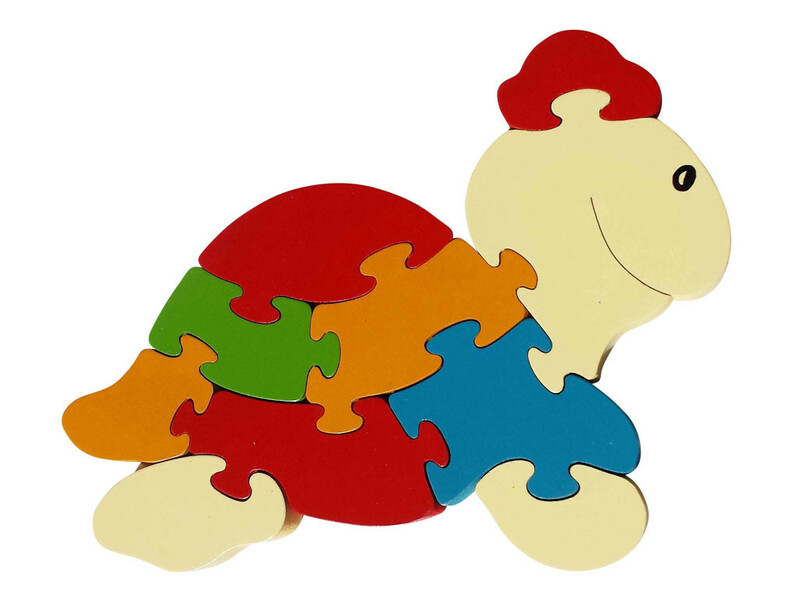 Combining the art of spelling with the magic of jigsaws, our Linkletters name puzzles are a challenging educational toy as well as a lot of fun. They’re free-standing and when assembled can be easily moved with one hand. Each personalised name is carefully cut using a scroll-saw. It then goes through two stages of sanding, by machine and hand, to ensure smooth and safe edges all around, before being finished in 100% safe paint. Each letter is 70mm tall and 16mm thick. They’re supplied wrapped in clear cellophane and arrive ready to be given as a colourful, presentable gift. 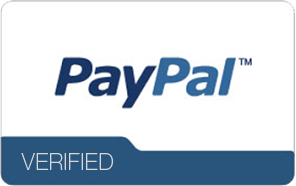 Within Australia, shipping is a set rate of $12 for orders up to 500gms (eleven letters) and $15 for orders over 500gms. We received our first name puzzle as a present for our first child and then we fell in love with it. It is now become the present that we give for our friends’ babies. It is so easy to order, a lovely personalised present and very quick turn around. On top of that, Jim is very responsive to email and very helpful. Thank you Jim! Must say Jim is fantastic both in person and when dealing with online. Great craftmanship. Name puzzels are great and teaches your kids to spell their name. Definitely recommend. 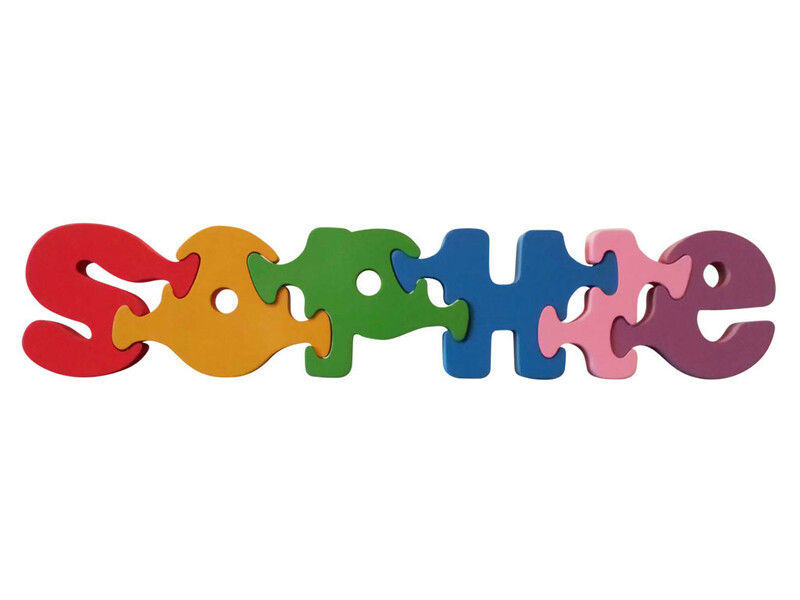 I have bought Jigzoo link letters over the past 7 years for my nephews and now my son too, and they are just awesome. Great quality, bright, shiny colours. I would thoroughly recommend. Excellent, efficient service! Great product such a special keepsake I’ll certainly be ordering more! Again and again I come to Jim and his wonderful Jigzoo site for personalised and wonderfully individual gifts of beautiful quality that are made with such care. Always safely packaged and always given and received with huge pleasure 🙂 Great result! Jigzoo’s have been my favourite present to give friends and family when they have a baby. Easy to order and pick my colours. Great timeline, quickly posted and ready to give to the new baby. The recipients of the gifts are always in love with the puzzle, and think it is really special. The puzzle is packed with care and I have never had a problem. I will continue to buy from Jim, I highly recommend the name puzzles and jigzoo products. I have been ordering Jigzoos linkletter puzzles for 6 years now. They are my ‘go to’ gift for when friends and family welcome a new baby into their lives. Jim has always been very prompt and friendly with his communication, the puzzles are always completed and posted in a short timeframe and I’ve never been disappointed with the quality. I’ll certainly continue ordering from Jim in the future as his products make such beautiful gifts! Thank you Jim – our puzzle is amazing and exactly as expected. Thank you for accepting my last minute order and ensuring that it was delivered on time as it was gift for a 1st birthday. Will definitely will be ordering more. I’m very pleased with the name puzzles and look great displayed! Love the choice of colours too. Great idea as a gift and and it didn’t take too long to arrive. Amazing service that responds immediately. Order received within a week across the country. Have made this a traditional first birthday present for nieces and nephews due to brilliant quality. 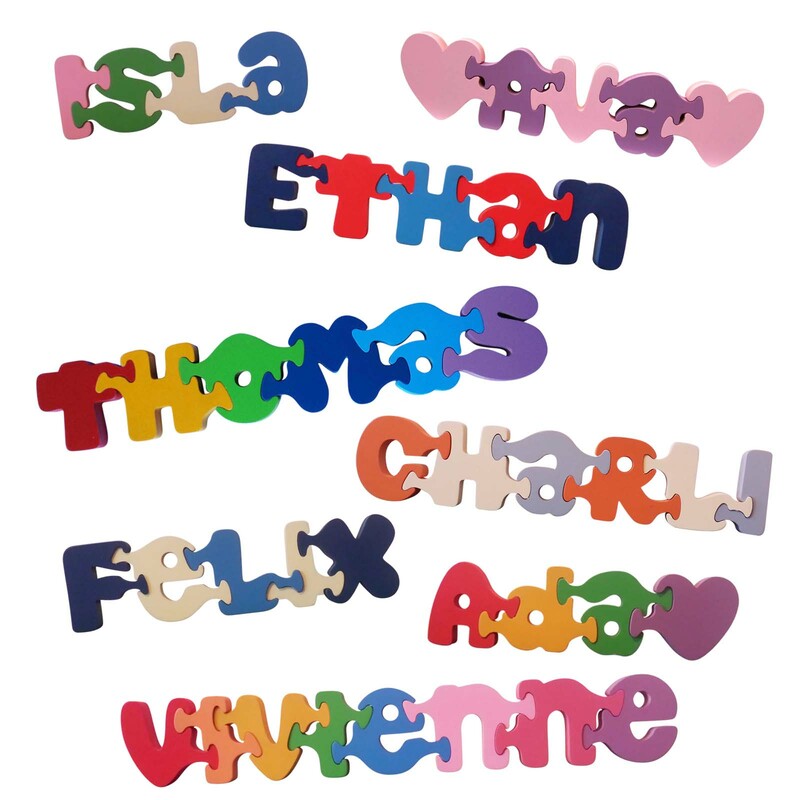 I have been purchasing Name Puzzles for my nieces and nephews for 8 years, and recently for my own children. 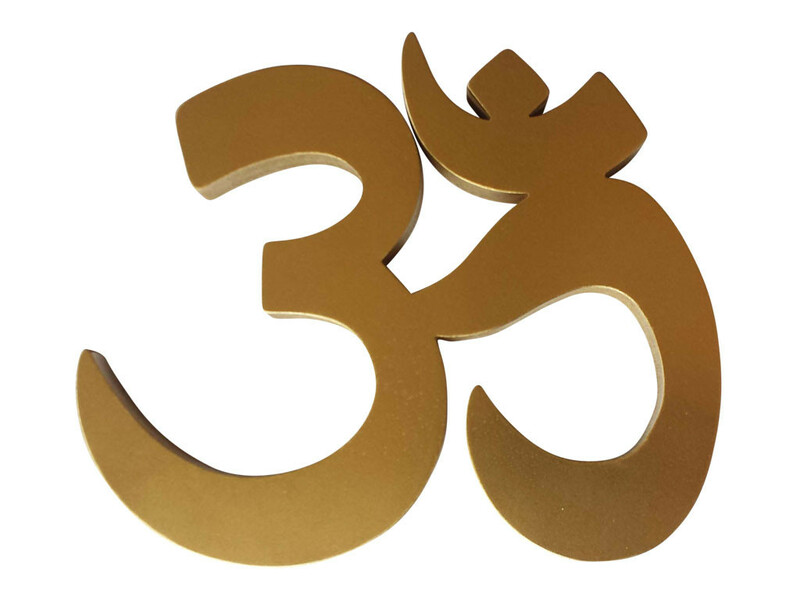 They are a beautiful and unique gift, made to the highest quality. I highly recommend the Name Puzzles, and all Jigzoo products.